In our house we read. I read to gain knowledge and for personal enjoyment. As a parent, I read to my children. My older children read for themselves but they are also encouraged, from a young age, to read to their younger siblings. I read to the family, chapters at a time, as a series, instead of watching TV. The younger children see us with books, they hear stories of adventure, courage, excitement, and mishap. They can sit in their bedroom and be in Africa on a safari, at the same time, or sit in the living room, together, and travel back in time to a Little House on the Prairie. All of this cultivates a desire in the young ones to want to read on their own. Reading Eggs is an eggsceptional interactive, online reading program. 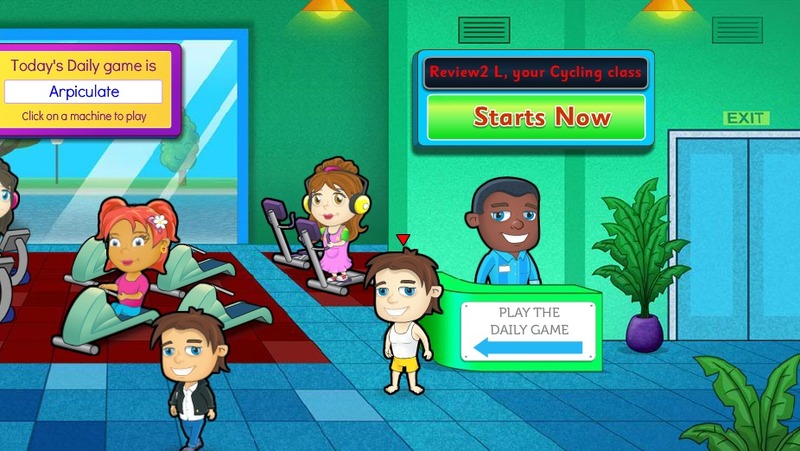 This program is developed by teachers, educational writers, animators, and web designers. It is built on a core curriculum of skills, using a sequential series of lessons. The focus of Reading Eggs is for children ages 4-7, with the addition of Eggspress geared for 7-13 years old. There are over 100 lessons available now, plus they continue to grow. The brand new Storylands opened March 2, 2012, with the first 20 lessons of Clinker Castle! My son agrees this is a big deal! My youngest daughter loves Reading Eggs! Map of lessons and eggs waiting to be hatched. 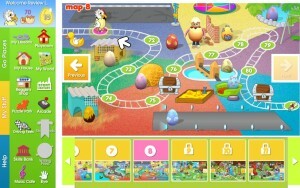 Her personalized, eggsploring avatar walks through Reading Eggs World as she works her way through lessons and quizzes. Upon completion of a set of lessons, she is rewarded. Special eggs hatch and reveal a new critter that is added to the zoo. The program is student-paced. If there is any difficulty understanding or retaining a lesson it can be repeated as many times as necessary, with no penalty or negative judgement. 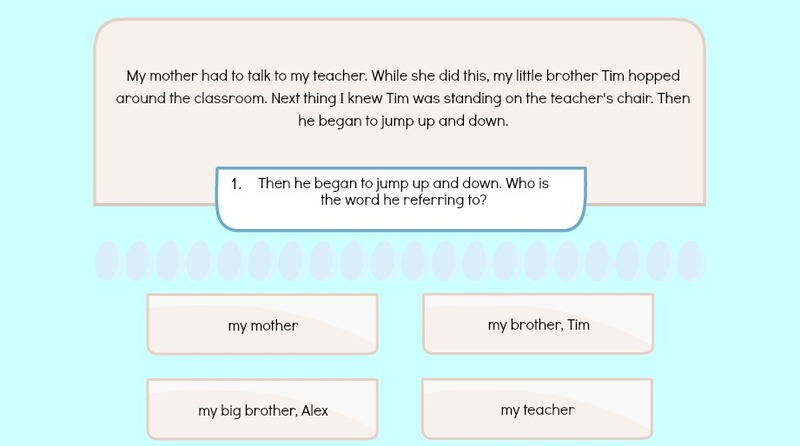 Lesson activity – put the words in the correct order to form a sentence. 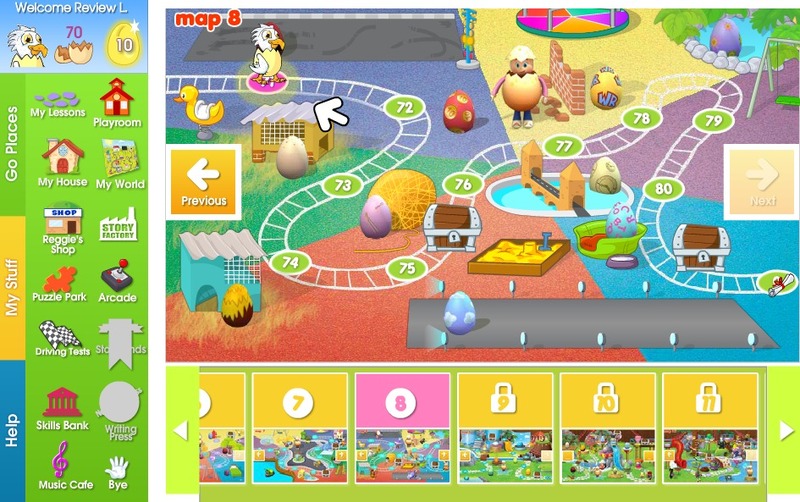 Songs, games, educational activities, and golden egg rewards, make for eggstra FUN! 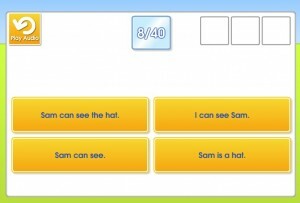 There is an Assessment Test available for each child. 40 questions, that will determine the best place to start your student. My son is happy being an Eggpress eggsplorer! He says the animation is eggscellent! The lessons are fun, but he is still challenged and he’s learning! There are many stories of fact and fiction that keep his attention. Just like his sister, he enjoys furnishing a house for his avatar, shopping, and generally playing in the Reading Eggs World. 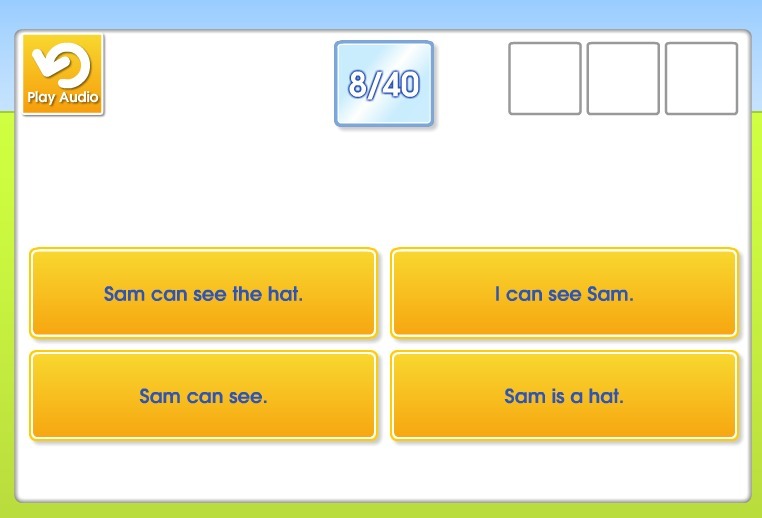 An Eggspress comprehension test question. I like the parent’s reports that I receive, keeping me up to date on their progress and accomplishments! I eggspect to use Reading Eggs for years, especially because they eggspect to continue to expand and improve. Don’t just take my word for it. Follow the links I’ve provided throughout this post and investigate their website. You can also read other reviews by my crew mates, when you click the TOS graphic below. And Reading Eggs offers a 14 day free trial! I think this is just so wonderful. Hat’s off to the people involved in making this great learning tool! My daughter is always on here…she thinks it’s a game.) Penny, thanks for doing such a good job presenting this top-notch teaching tool to those wanting the BEST for their child’s education and life skills. Two thumbs up! 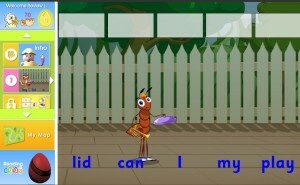 We also suggest that you look at http://www.zoowhiz.com. ZooWhiz is our new, FREE online learning system for kids aged 5 – 15 that is proving to be very popular with kids, teachers and parents. It’s loads of fun and very educational.